The Premier League has announced that it had to put an end to thousands of illegal web streams of its matches last year. Given that the league recently signed a deal worth £760 million a year with Sky, and another with BT for the 2013-2014 season, there's big money in television rights and having these illegal streams pop up on the internet is causing a massive headache for the football authorities. According to the BBC, it had to shutdown 30,000 streams of football last season, which equated to around 75 streams per match played. The Premier League used a company called NetResult to monitor for activity and get rid of the streams as they appeared; the company's aim was to get rid of 80 per cent of all streams while a match is taking place. Speaking about the reasons behind shuttering the streams, a spokesperson for Premier League said: "If you want top quality football, it costs money. "It's not just about star performers getting paid well, it's about investment in facilities and youth development." This view is not one that's shared by everybody, however. TechRadar contacted the Pirate Party about the illegal streams and it believes fairness is the key and the Premier League should sort out some sort of pay-per-view system for fans, instead of pushing them to signing up to the likes of Sky. "If the premier league stubbornly refuses to sell the fans what they want, then of course fans will find a way to watch the teams they love," said Andrew Robinson, UK spokesperson for the Pirate Party. "Instead of playing an unwinnable game of whack-a-mole with low quality streams, surely the best solution would be to simply sell the fans the coverage they so desperately want?" "I simply don't believe the Premier League's excuse that stopping fans watching football is essential to keep up revenue. If you give a fan a choice of missing a game, or paying something to see it, isn't it blindingly obvious which one would make more money?" "The Premier League has recently lost a court case over allowing European fans access to TV coverage that British fans are denied. "I hope this ruling will encourage them to stop fighting the public and start giving British fans the same chance to watch 3pm Premiership matches that fans in other countries already have." Although Sky hasn't revealed whether it will be offering sport through its Now TV PAYG service, it is something the company is looking into, which may well - as the Pirate Party notes - deter people from getting their football fix illegally. 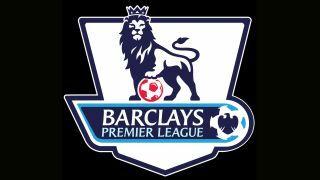 TechRadar also contacted Neil Parkes, partner at media law firm Wiggin LLP, who explained that the Premier League had every right to protect its content, although given that many of the sites are based outside the UK, policing is an issue. "Illegal streams of live sporting events is a growing problem across the globe. With faster broadband speeds illegal streams are becoming more reliable and of higher quality," said Parkes. "Many streaming sites are based outside the UK in jurisdictions where it can be difficult to take effective action. An increasing problem are websites that collate links to multiple live sport streaming sites in the mistaken belief that they are doing no more than providing a search engine service and are therefore not liable for copyright infringement. "However, recent decisions in the UK civil and criminal courts have established that the provision of such linking services is infringing and can constitute serious criminal offences." Parkes also noted that these sites are making money off the back of the streams, despite having not rights to the footage. "The operators of streaming and linking websites know full well that they do not have the right to stream the matches but do so nonetheless and many make substantial sums of money from subscriptions to their illegal sites or from advertising revenue. "The Premier League exploits the commercial rights of the clubs in the league by licencing the rights to broadcast live matches and it has an obligation to the clubs and to the broadcasters it licences to protect its content."